Bothell, Wash. – September 26, 2018 – Winshuttle, the leading SAP-centric data management and robotic process automation platform provider, is pleased to announce the launch of a new online community focused on customer networking and learning. 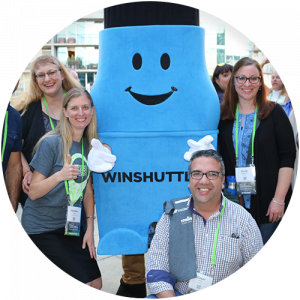 The Winshuttle online community is designed to foster the same kind of collaboration that happens at a Winshuttle User Group (WUG) meeting but anytime, anywhere and on a much larger scale. The community offers several features to help bring users together and facilitate collaboration. The directory will allow users to connect by industry, SAP expertise, product ownership, geography and more. They can access local user group communities, join in discussions and access/post to a library that houses prebuilt scripts, templates and solutions that can help them get up to speed faster. Users can also expect to be able to access over 100 new e-learning self-paced training modules available. The online community will also help solicit feedback for product enhancements and help influence future product roadmaps – leveraging the expertise the Winshuttle customers have gained over the last 15 years.